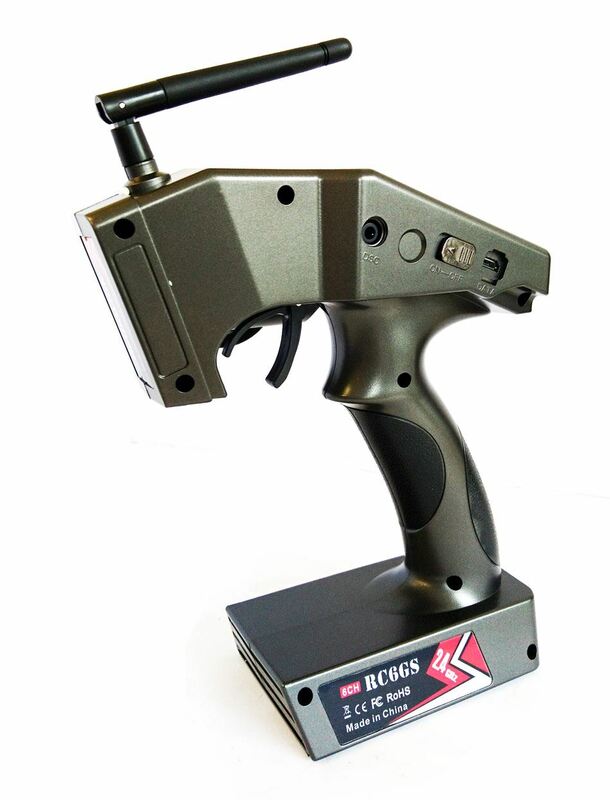 RadioLink RC6GS 6 Channel Computer Pistol Grip Transmitter with R6FG Gyro Rx. 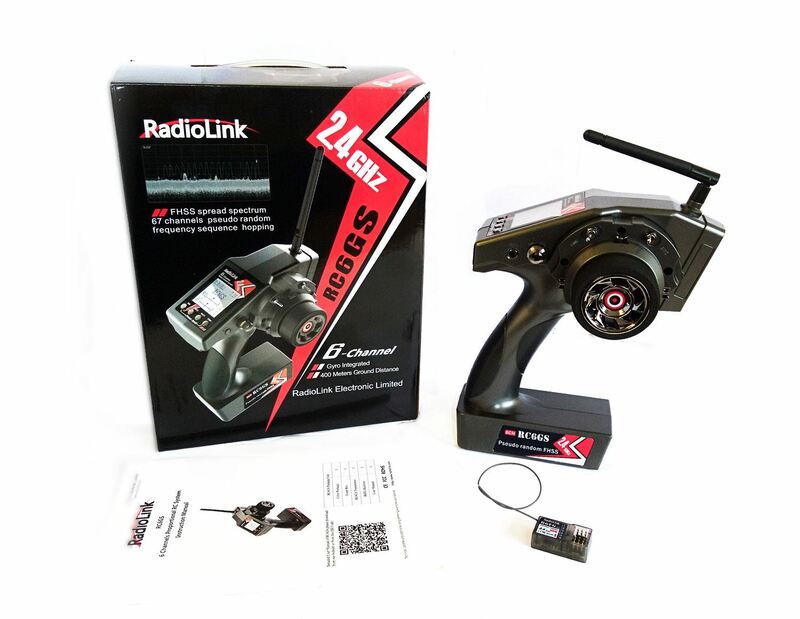 Home > RC Gear > Transmitters > RadioLink RC6GS 6 Channel Computer Pistol Grip Transmitter with R6FG Gyro Rx. 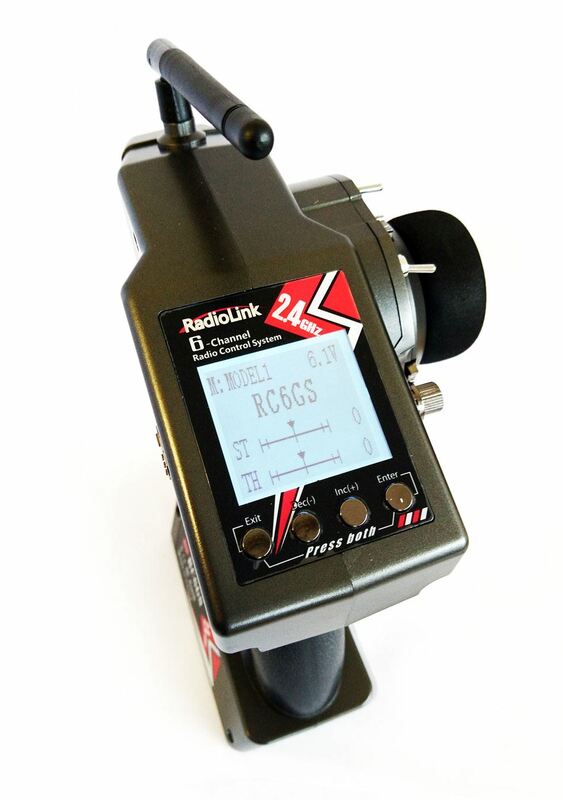 Welcome to the latest addition to the Radiolink family - The RC6GS 6 channel programmable car transmitter with Gyro! This all new radio is designed to be used with a variety of models such as Cars, Crawlers, Boats and Trucks where the usual 3 channel radios simply aren't enough. All six channels are adjustable and any two can be mixed together for features such as dual steering etc. 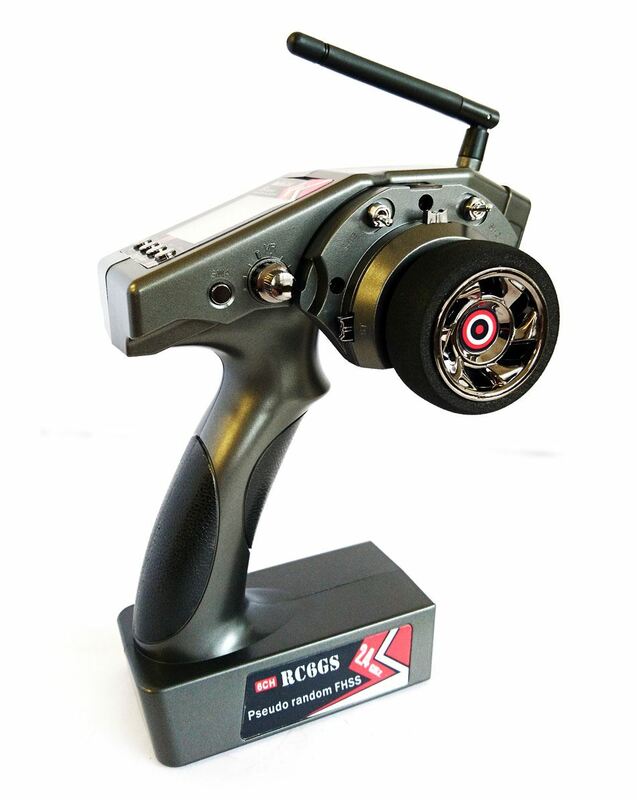 The RC6GS also comes fully equipped witha Gyro system for drift control making you look like a driving god! What more can you possible squeeze into a transmitter? - 6 independently programmable and mixable channels for everything from light kits, dual motors, brake and transmission upgrades and much more. - Industrial grade transmission ensures peace of mind that you will not lose signal and the 12ms response time guarantees perfect performance every time. - The control distance of 400 metres is achieved using the same FHSS spread spectrum technology found in the AT9S giving you rock solid response. - The integrated gyro function and ABS anti-lock brake give you the ultimate control when it counts. - The USB data connection allows simple firmware upgrading so you are sure to have the most up to date system and features. 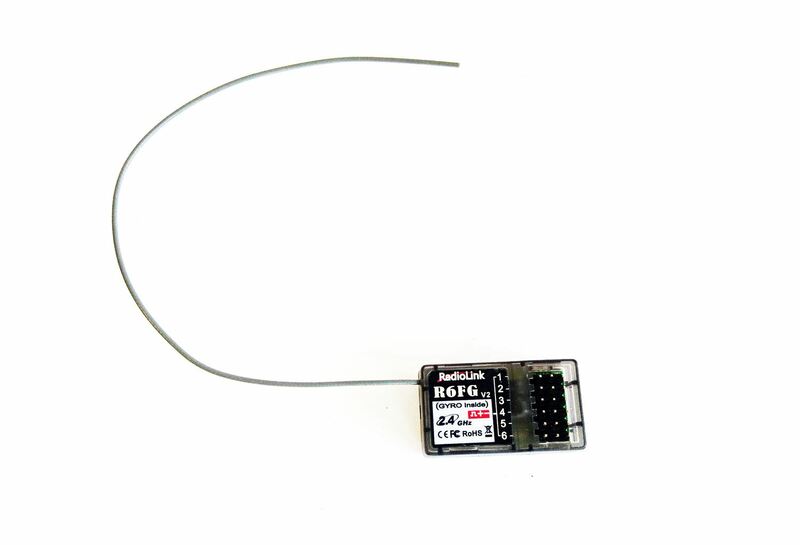 - The reverse polarity protection means you will not damage the transmitter or receiver if you incorrectly connect your battery and the universal JST connector means you can fit many transmitter packs, from a simple 4xAA caddy to 2s to 4sLipo packs.